FOR SOME MONTANAS, the first sign of spring might be a bluebird, or a buttercup peeking through the snow, or an emerging bear. For me, here in the Bitterroot Valley, it’s a profusion of fishermen pursuing trout that are feeding on Skwala Americana. 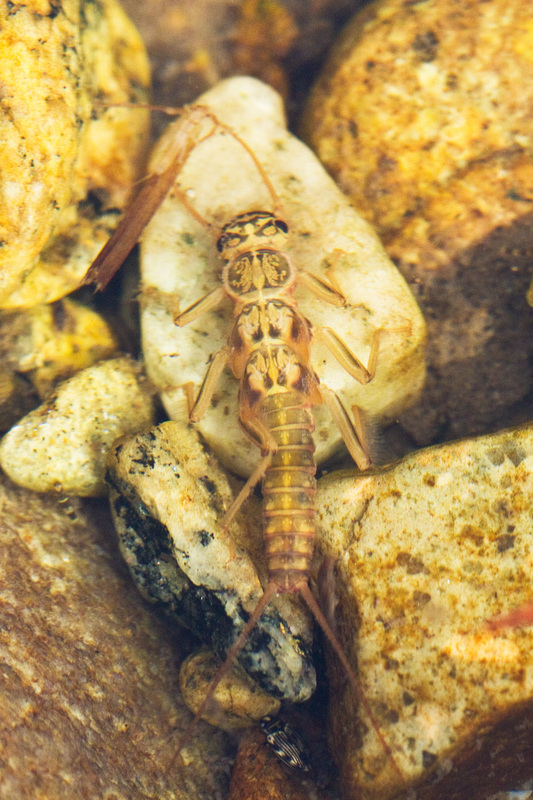 These moderately large stoneflies are the first hatch of spring that brings larger fish to the surface of the Bitterroot River. Nymphs begin to crawl to the edges in early March, and by the first day of spring there are hungry fish rising to egg-laying Skwala females in sizes 8 to 10. The hatch lasts until late April and brings anglers from all over the region to this western valley. Skwala nymphs spend most of the year in midstream riffles. With increasing maturity both sexes drift to the edges below these riffles where they emerge as adults and mate. The females then return to the stream to lay their eggs. The nymphs are imitated by any standard stonefly nymph pattern in sizes 8 to 12, colored olive or dark brown. They are best fished by dead drifting near shore. The adult male’s wings are underdeveloped. They cannot fly and are rarely seen on the river’s surface. The adult females are a dark olive gray with a pale abdomen and a large prominent black egg sac. Females are capable of flight but it’s unusual to see them in the air. 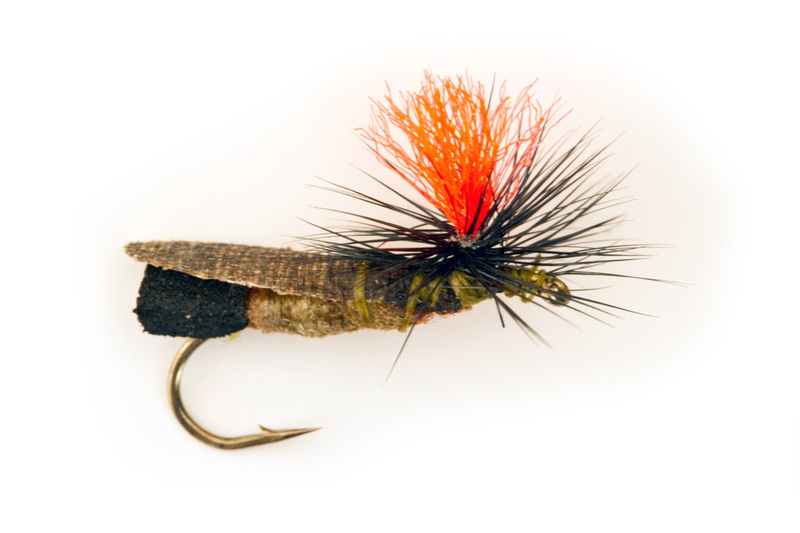 Locals incorporate these features in a variety of favorite Skwala dry fly patterns. A dark stimulator will also be effective. When the fish are really taking, I’ve even had success with a trimmed hopper. 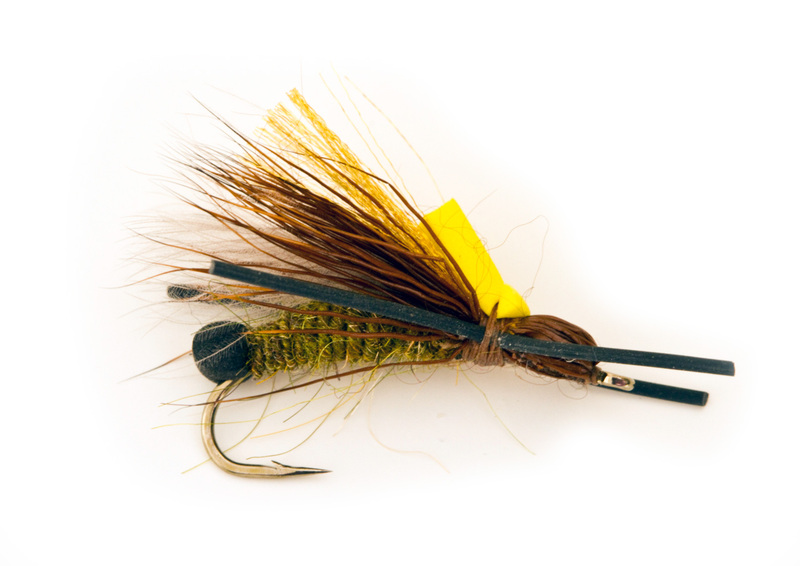 Our fly-tying group meets weekly through the winter. Early sessions end in fishing tales and an extra Scotch. But we’re all business by mid-February, arming ourselves with variations of Skwala nymphs and dries in multiple sizes. The first week of March finds us all streamside, dolled up in waders, vests, etc., kicking over rocks and fishing both wet and dry regardless of insect activity — knowing it’s just a matter of time. Skwalas hatch from the confluence of the East and West Forks of the Bitterroot south of Darby all the way to the Florence area, 60 miles north toward Missoula. The river flows northward between the high peaks of the Bitterroot Range to the west and the lower undulating Sapphire Mountains to the east. U.S. Highway 93 parallels the stream nearly to its confluence with the Clark Fork River near Missoula. There are a series of developed fishing access sites along the way. Many sections are braided and there are several streamside sloughs as one goes progressively downstream. In March much of the river is easily waded. 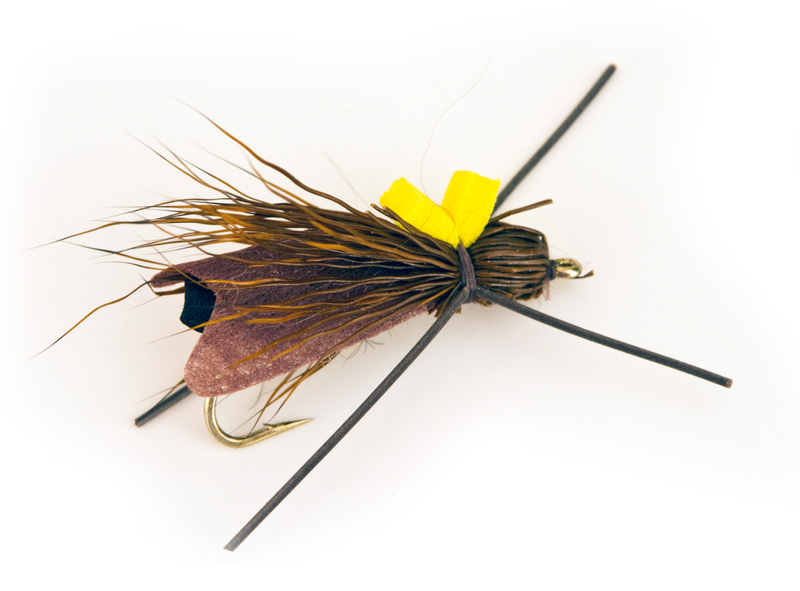 Floating with rafts is very popular, and shuttle service is available through most fly shops. Water levels can fluctuate related to warm spells, rain and releases from Painted Rocks Reservoir above the West Fork. Mountain runoff can be impressive but usually doesn’t get going until the middle of May. Weekends can be crowded so I like to give the fish Monday “off” after a pleasant weekend with lots of activity. Floaters should talk with one of the many fly shops about conditions, as log jams are common and there are irrigation diversions that require portages or pull-overs. Fishing during actual runoff can be quite dangerous so these conversations are critical later in the spring. I find the majority of rising trout to be rainbow-cutthroat hybrids. I catch pure strains of each as well, and those fish are beautiful. Spring Skwalas also bring brown trout to the top, and this is probably my best chance to take a trout over 20 inches on a dry fly in the Bitterroot. The river slows and warms toward Florence, and one sees more rough fish as well as northern pike in the side sloughs. Accordingly, I favor the river farther upstream. Early spring nights are cold and water temperatures don’t get above 40 degrees until late morning. This seems to be the temperature that stimulates insect activity, so fishing on top is best left for afternoon. In March there will be additional hatches that occasionally compete for the trout’s attention. There are size 16 midges, a small stonefly called Capnia in size 18, and a larger stone called Nemoura that can get to a size 14. By early April the first major mayfly is hatching, the March Brown. 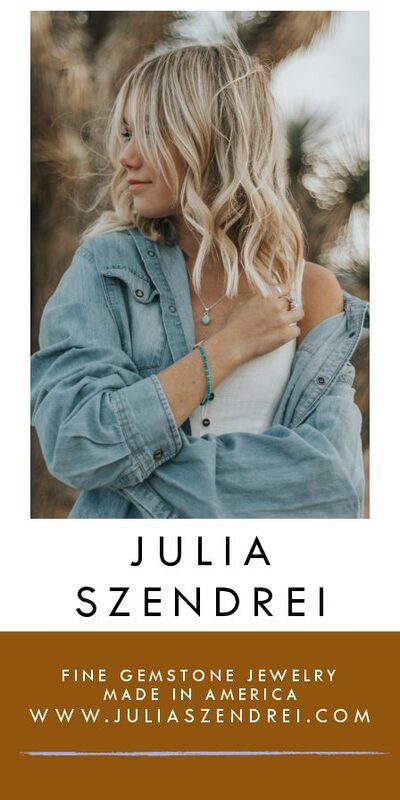 This can lead to wonderful dry fly fishing, since both mayflies and Skwalas are on the water at the same time, with different fish focusing on one or the other. Skwalas ride low in the water as they release their egg sacs. They take on the appearance of a small twig in the current, until they disappear in the confident rise form of a surprisingly big fish. This event may be the worst kept secret in western Montana fly-fishing circles. Just Google “Skwala.” The hatch may move slowly upstream day by day, but the news travels much faster. 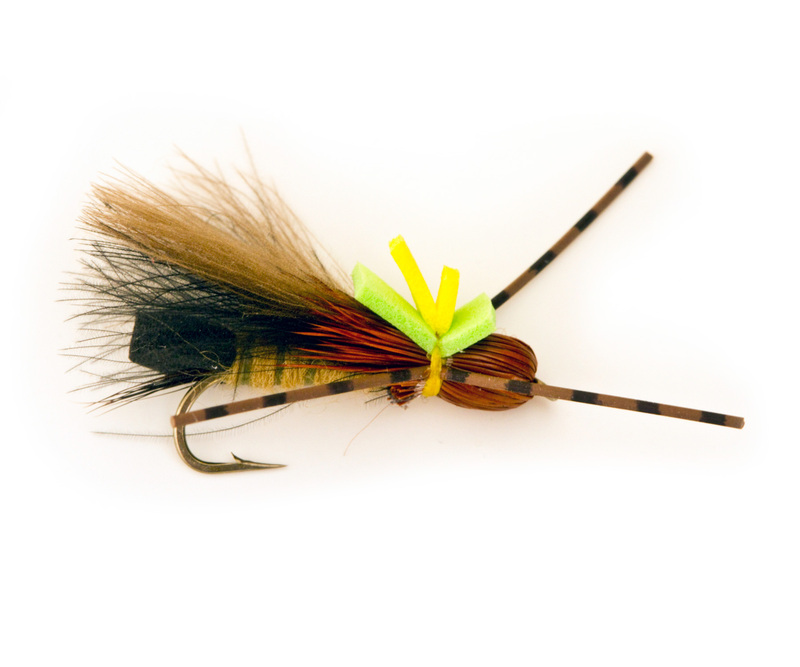 I hear excited reports in the fly shops of early nymphs, and especially enthusiastic sightings of Skwala dries. Access sites and motel parking lots have rafts with license plates from Montana counties well beyond Ravalli and Missoula, as well as all of our surrounding states. It is a boost to the valley economy with full motels and restaurants, busy guides, and crowded fly shops. Skwalas are found in other Montana river systems. Fishable hatches occur on the Clark Fork, Rock Creek, the Jefferson, the Big Hole below Melrose, and even the Missouri above Cascade. The Yakima River in central Washington boasts a similar angling opportunity. Nevertheless, the Bitterroot would seem the destination of choice for anglers and guides seeking early season dry fly action. The entire river is catch and release for cutthroats, and some sections have this restriction for all trout, so read regulations carefully. And remember that March 1st begins the new license year. Winter releases its grip on mountains very slowly. Rumor links the insect’s name to the frequent snow squalls that come down various drainages through the Bitterroots from the west. My research did not confirm this, but it makes a good story. Days can also be sunny in the 70s, but bring warm clothes. A float on the Bitterroot in early spring has more to offer than pure fishing. With the majority of fishing action in the afternoon, I like a morning of birding and photography at the Lee Metcalf National Wildlife Refuge north of Stevensville followed by angling in the same vicinity that afternoon. White-tailed deer are abundant on the valley floor, and there is always a chance to encounter elk, moose, beaver, muskrats and mink. Resident bird life includes bald eagles, hawks, owls, and Canada geese. I enjoy early arriving herons, osprey and sandhill cranes and additional migratory birds are showing up in March as well. I’ve seen most duck species along with snow geese and swans. I spend many spring mornings in the photo blinds on the refuge. And the river fishes well here. After a winter of fly tying, equipment repair and upgrades, reading, and commiserating with similarly addicted friends, any river’s “first hatch” is eagerly anticipated by its local fly fishing faithful. We Bitterrooters start turning over rocks and drifting Skwala nymphs and dries during the first week of March. The valley’s guests from afar arrive by the middle of the month, and our angling year begins again. A river’s charm is nestled somewhere in the paradox of constant change and timeless permanence. The Skwala hatch is an important piece of the Bitterroot’s fishing heritage, as it initiates the new angling year for this beautiful valley. 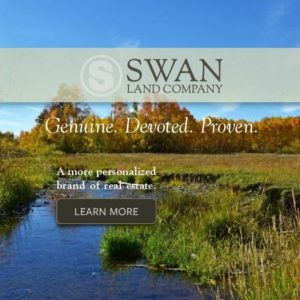 Editor’s Note: More information can be found on the Web sites of the Bitterroot Valley Chamber of Commerce (bitterrootvalleychamber.com) and Montana Fish, Wildlife, and Game (fwp.mt.gov). Fly Fishers of the Bitterroot has recently published a book entitled Fly Fishing the Bitterroot, available at www.flyfishersofthebitterroot.org.